Using your mobile phone for something other than Facebook or Snapchat could save your life this summer. Dr Justin D’Arcy, a surgeon at Buderim Private Hospital, has released a video which encourages people to use their mobile phone to help spot skin cancer. “If you see something on your skin and wonder if it’s new or if it’s something that has been there for a while, take a photo of it with a ruler or coin beside it, wait a fortnight and take another photo and see if it has changed,” Dr D’Arcy said. Dr D’Arcy, who specialises in melanoma surgery, also describes what symptoms to look out for and how the treatments for melanoma has advanced. “Not all of the melanomas that we see are classical moles. “About one in five of the melanomas that we see and treat have no pigment at all. These will only have a little reddish colour to them and be raised like a lump. According to the Australian Institute of Health and Welfare (AIHW), skin cancer – melanoma and non-melanoma skin cancers – accounts for the largest number of cancers diagnosed in Australia each year, with Queensland having the highest national incidence and mortality rates. Wallis Westbrook, general manager of the Buderim Private Hospital, said Dr D’Arcy’s video would help with the early detection and awareness of skin cancers. 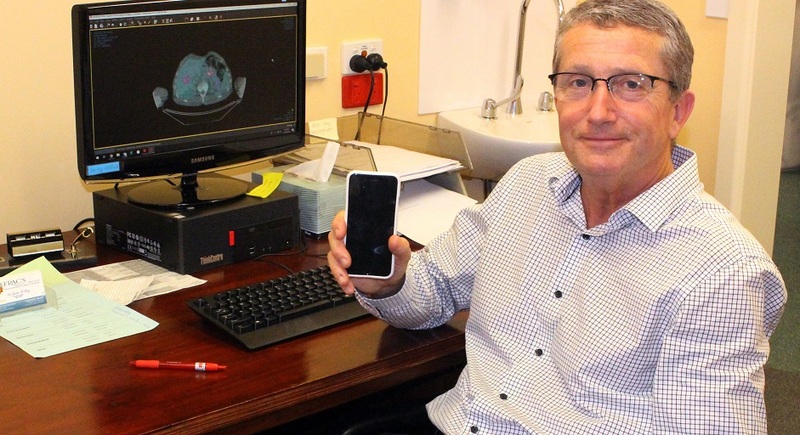 “In this digital age, when almost everyone seems to have a mobile device with a camera, Dr D’Arcy’s advice to take a moment and use this technology as a tool to catch a melanoma in its early stages could be truly lifesaving,” Mr Westbrook said. Dr D’Arcy has practiced on the Sunshine Coast for more than 25 years. He performs regular melanoma-related surgeries at the hospital, including sentinel lymph node biopsies which is an innovative surgical technique where sentinel or “guardian” lymph nodes are identified, removed, and pathologically examined to determine whether cancer cells are present. Buderim Private Hospital’s “Care to Share” video series launched in 2017 and features relevant medical education from the hospital’s highly experienced doctors and clinicians.